Saving money does not have to be painful! 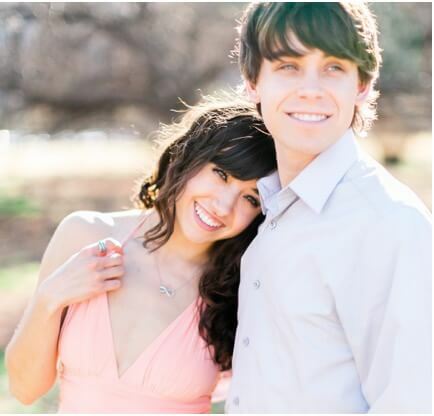 Evan and I (Nikayla) started our married lives out as jobless full-time students. In order to receive my Bachelor’s degree in Medical Imaging (Sonography) I was required to work in a hospital for 1680 hours (12 months full-time) with zero pay. 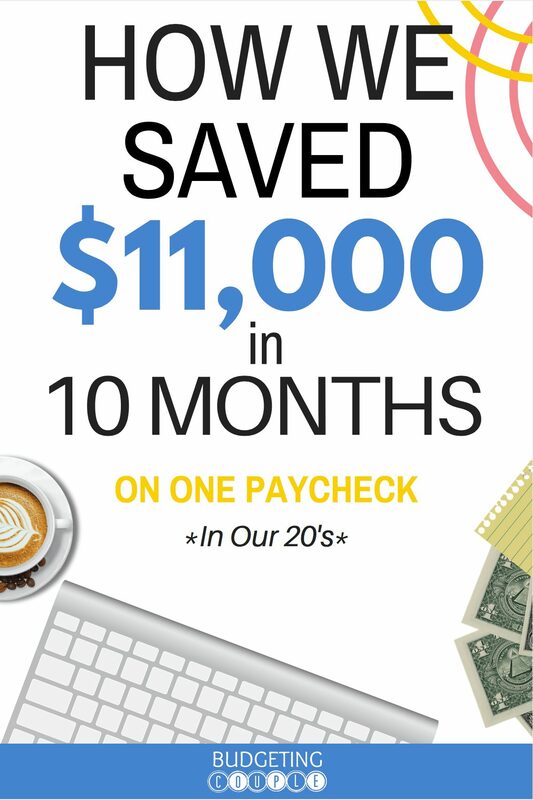 In the mean time, Evan was starting school to finish his Doctorate so we lived off of our savings of $10,000 for 7 months! To say we had to learn to live frugally is an understatement. 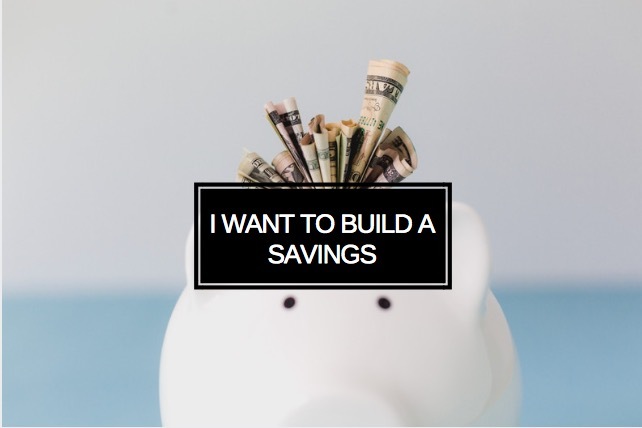 As soon as I graduated and got a job, our saving account was practically dried up to nothing, but because of the frugal living strategies we had been curating for the 9 months prior, we were ultra prepared to build our savings back up FAST! 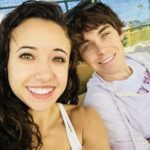 We are so excited to share the frugal living tips and budgeting strategies that got us through 10 months without income and carried us on our trek from $0 in our savings account to over $11,000 in just 10 months while living on one paycheck averaging $3,300/month. Cut Your Grocery Bill Without Sacrificing Healthy Food! Grocery stores are a money black hole; you go in for one thing and end up with a bunch of stuff you didn’t need. 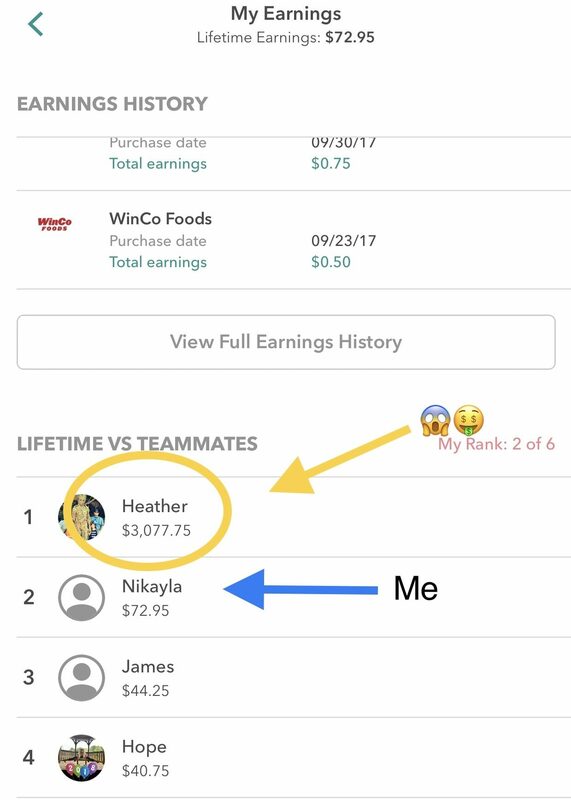 Simply creating a shopping list is super easy and quick to prepare and has the potential to save you hundreds of dollars every single month! If you’re already a list writer, here are a few other saving money on groceries tips that helped us eat healthy (fruits and veggies every day) while spending less than $280/month ($140/person/month)! Don’t waste time clipping coupons! Download your grocery store’s app and quickly save the coupons you need. Ibotta is a rebate company that pays you to shop. Simply take a picture of your receipt with the Ibotta app and instantly earn money from your purchases. Click here to download Ibotta and receive a $10 gift card! Ibotta is one of the easiest and most fun ways we’ve been able to save at the grocery store. Read more about Ibotta in our honest Is Ibotta Legit article. If you haven’t heard of Amazon Subscribe & Save, get ready for another huge money-saving tip! Subscribe & Save is a store on Amazon’s website full of items you need to replace on a regular basis. They have everything from dog food, K cups, water filters, laundry detergent, toiletries, etc. (everything I don’t want to go out to buy). When you subscribe to a product, you get to choose what monthly increment you need it shipped (once a month, every 3 months, etc. ), and every time the purchase goes through you receive 15% off that item! Subscribing is great in itself because I never have to think about reordering those necessities, but the fact that I can get an additional 15% off Amazon’s already super low prices is amazing! Check out the Amazon Subscribe and Save store here and start picking out what you could subscribe (and save) to! The only catch is you have to be an Amazon Prime member. If you aren’t a prime member yet, invest in this service because you will save hundreds a year! It’s less than $9.00 a month which is so easy to make up for with their free shipping, subscribe and save, store card, and more. 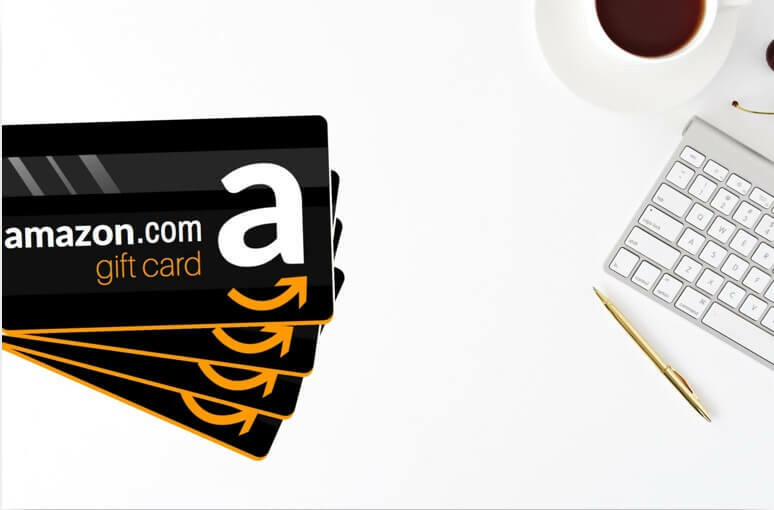 If you’re already a Prime member, check out our article: Amazon Hacks: How to Save Hundreds Shopping on Amazon! While Evan and I are frugal living lovers, we are also credit card advocates! We believe with proper strategy and a solid budget in place, credit cards are nothing to be afraid of. 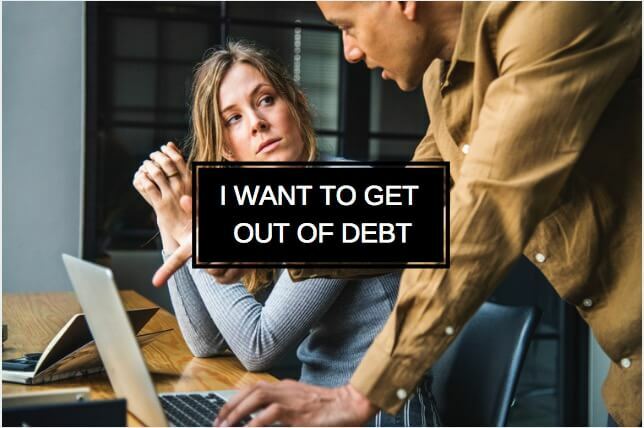 We have never accumulated a single cent of consumer debt and have actually made over $1,400 in one year from simply choosing to use credit over cash! With our travel card, we save hundreds of dollars and receive a free companion ticket every single year! Not a fan of credit cards? Check out our 15 tips to save money on travel without using credit card points! We live in a very small town, so online shopping with EBATES has become our best friend (the closest mall is more than an hour away). 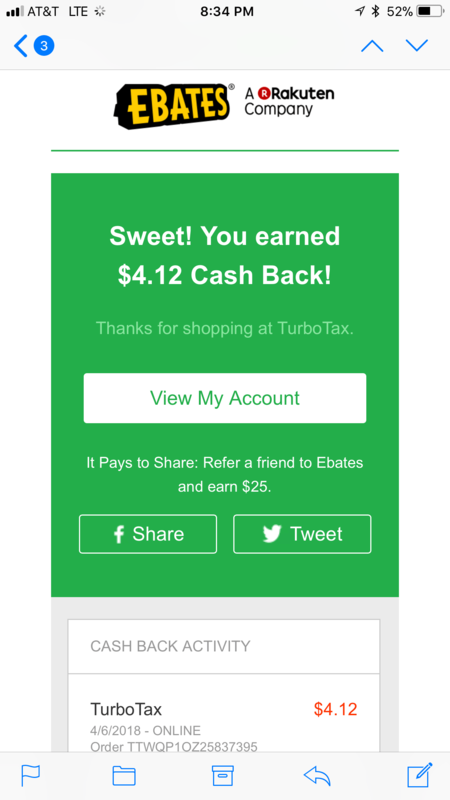 Ebates pays you to shop online! After you sign up for Ebates (which is 100% free) you simply search the store you want to shop at, click “Shop Now”, fill up your cart, check out like normal, and THEN GET FREE CASH BACK! Here’s a screenshot of the money we made just by filing our taxes on Turbo Tax! They even compile all of the coupons, sales, and discount codes for every retailer on their site. We make sure to stop by Ebates every time before we shop online so we can be confident we’re always getting the best deals (saving the most money possible). Depending on the store, you can earn anywhere from 2% – 40% cash back on everything you purchase! Also, make sure to add Ebates to your Bookmarks or Favorites on your web browser so you never forget to go there before you do any of your online shopping. If you’re shopping online, why not get paid for it?! Sign up for Ebates with my link to get a $10 welcome bonus after you make your first $25 purchase! You can read more about Ebates and exactly how to use it (plus some awesome money-saving Ebates Hacks) in our Ebates Review: Is Ebates Legit? This tip is truly how we saved the bulk of money in our 10 months to $11,000. 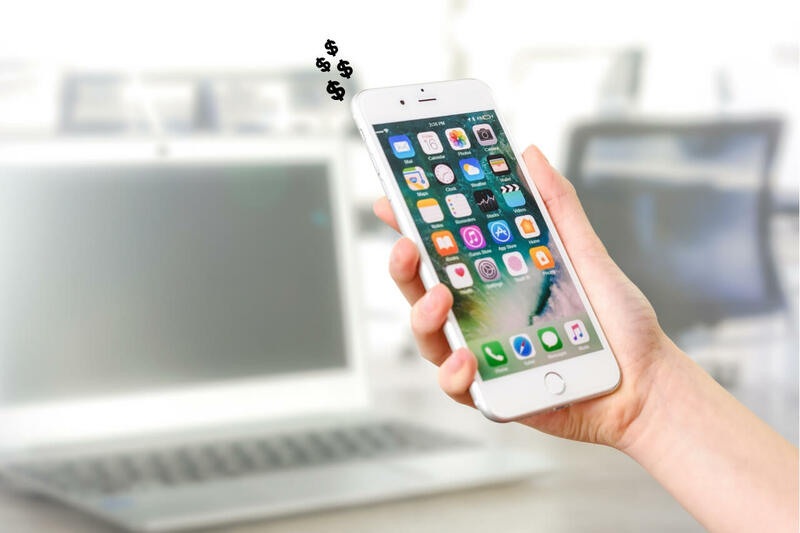 There are tips all over the internet telling you how to save a few dollars here and there, but none of them compare to the wealth building potential that comes with learning to spend your money correctly. ‘Tips’ aren’t going to put $10k in your bank account. ‘Tips’ aren’t going to get you out of debt. 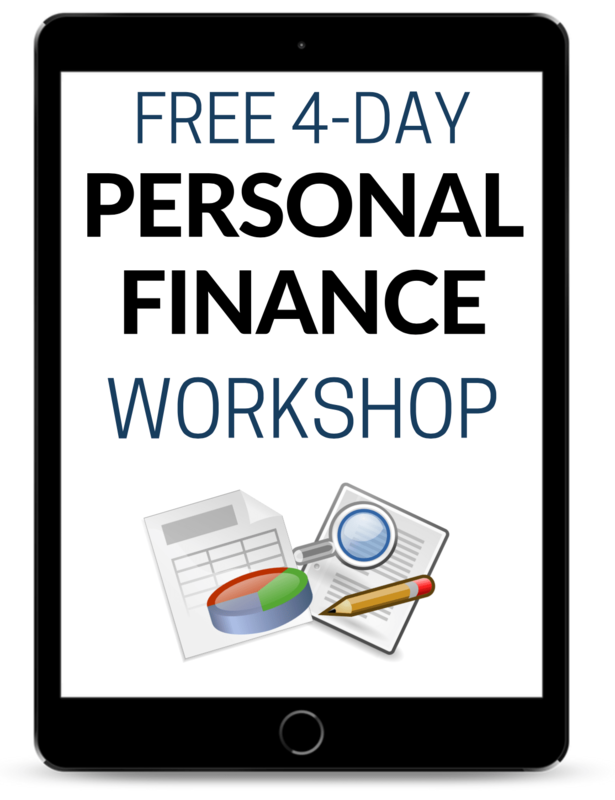 But with our Free Personal Finance Workshop: “Roadmap To Financial Success”, We’ll show you how truly easy it is to build a savings that grows month after month after month. This can be your reality. This will be your reality because it’s what a budget is designed to do! You won’t have to live in fear of random costly expenses or an emergency. 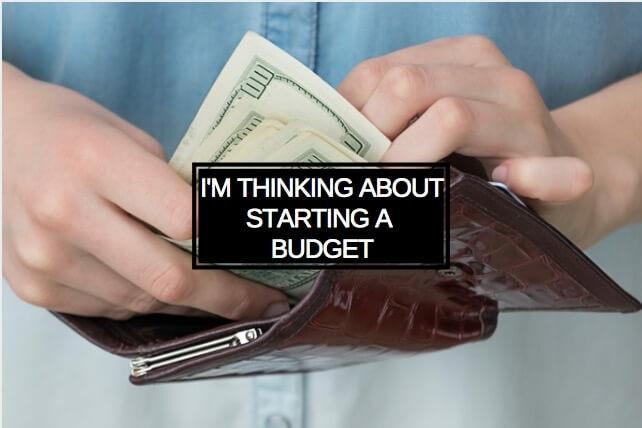 So if you truly want to save money fast… build your budget! 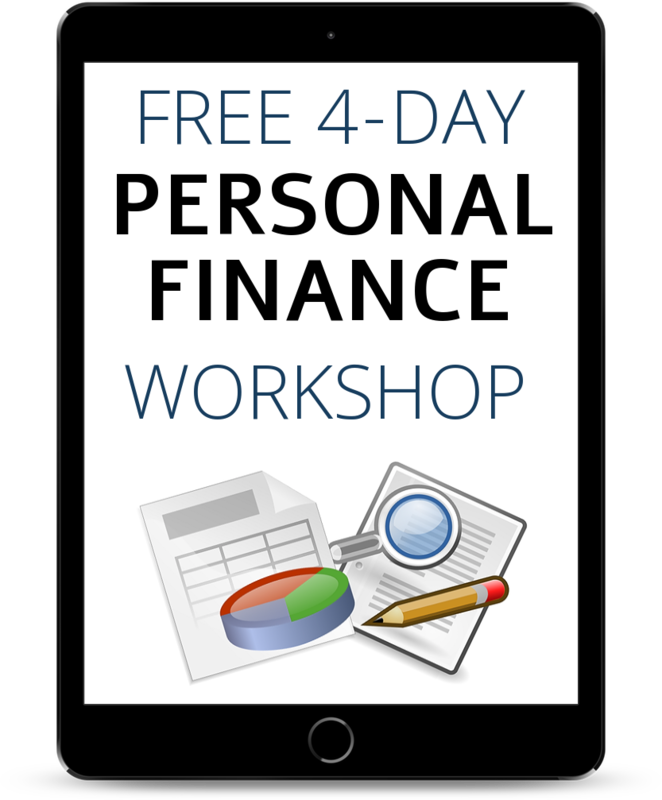 Sign up for our Free 4-Day Personal Finance Workshop: “Roadmap To Financial Success” right now and get in control of your finances. Don’t let your savings remain stagnate any longer! Do you have any money saving tips you use? I would love to hear about them in the comments below! P.S. Are you currently living paycheck to paycheck? The solution is a budget! 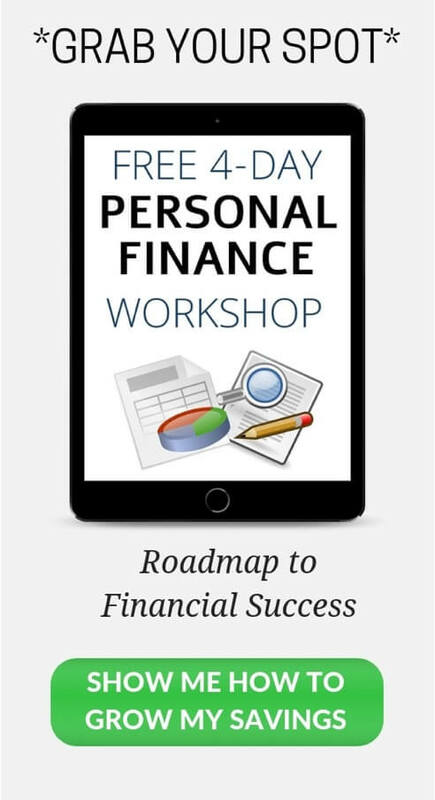 Learn how to make a budget easy and fun with our FREE 4-Day Personal Finance Workshop: “Roadmap To Financial Success” on “How to Start a Successful Budget”. Sign up here! P.P.S. Are you following us on Pinterest? 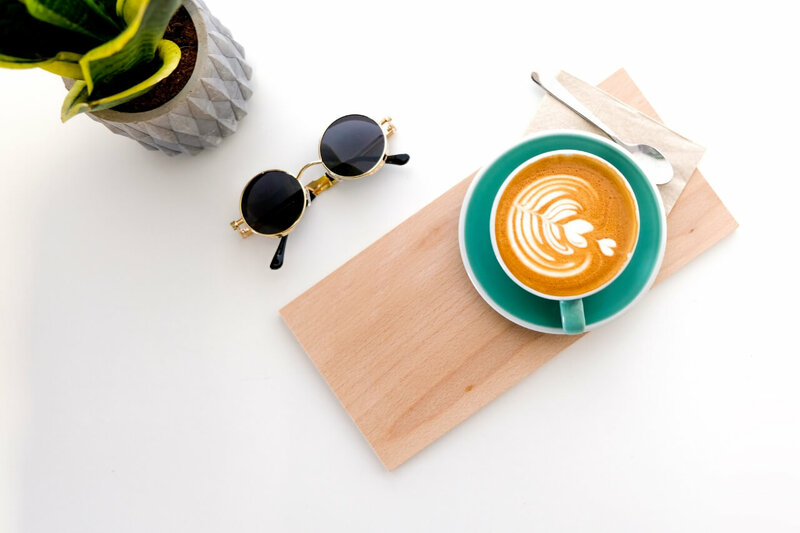 Check out and follow our Frugal Living board for our best money saving, frugal living, and budgeting articles! Now that I have my credit card debt paid off I am ready to start building up my savings account again! I also prefer credit cards and the cashback rewards definitely help out. We totally agree! Credit cards have so many benefits if used correctly. Congrats on the debt payoff! Good advice, shame the app you mentioned is US only or else I would certainly be interested in checking that out. I make sure to only go shopping when I really need it, and I tend to do it online so I cant impulse buy when walking around the store as I only search for the things I need. Shopping online also makes it easier to compare the prices of the supermarkets in my area so I can go wherever works out the cheapest. Ebates looks really good, thanks for the recommendation!